This is such a great summer salad. 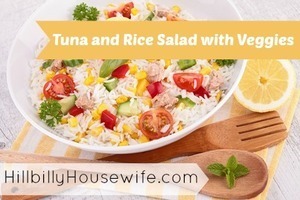 It’s full of veggies, rice and tuna. It’s a perfect example of healthy eating on a budget. It’s not just for summer though. Enjoy it as a yummy lunch throughout the year. You can make it ahead of time and pack it for lunch. Of course as with most of my recipes, you can easily swap out whatever veggies are in season, sitting in your fridge or growing in your garden. This is also a great way to use up leftover rice. In fact, I often cook extra when I’m making rice for dinner to have for this, or other recipes calling for leftover rice. 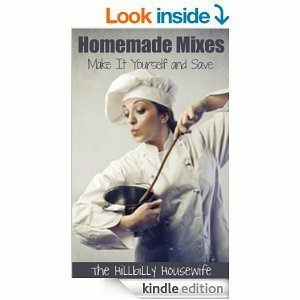 Put the first 5 ingredients in a salad bowl and whisk until frothy. Add the remaining ingredients to the salad bowl and gently toss until ingredients are coated well with salad dressing in bowl. If desired, add in some yellow corn.